Please visit us at booth 634 at this year’s EASA convention in Milwaukee. 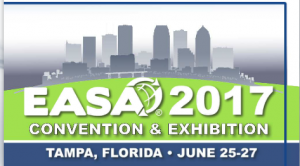 Kencoil is exhibiting at EASA June 25-27 in Tampa, FL. Please visit us at booth 730. 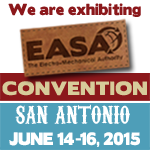 Kencoil will be exhibiting at the 2015 Electrical Apparatus Service Association (EASA) Convention and Exposition, June 14th – 16th, in San Antonio, TX. It is with pride and great pleasure that I announce the appointment of Eran Rosenzweig as Chief Operating Officer of Kencoil, effective February 01, 2014. As an ongoing part of my long-term growth strategy for Kencoil, I am pleased to announce the appointment of Eran Rosenzweig as our company’s new Chief Operating Officer. His proven leadership, managerial skills, and strategic and operational vision make him a perfect choice as our Chief Operating Officer. Eran will be responsible for the day to day business as well as implementing the company’s vision through the management of all operational functions of the business. 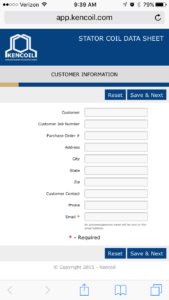 His total commitment to customers, attention to quality, and operational excellence will continue to set Kencoil apart. Eran is coming to us after over 6 years of service to VonRoll where he held numerous global and regional senior managerial and leadership positions, including most recently serving as the company’s Chief Operating Officer for the Americas. Eran has a Bachelor of Science in mechanical engineering and Master of Science in engineering management. Eran will be relocated from Colorado to Louisiana with his wife and 3 boys in a few months. This is an exciting time for Kencoil, and I could not be more pleased with our leadership as we face the many growth opportunities that lie ahead. Kencoil will be participating as an exhibitor at the 2013 Electrical Apparatus Service Association (EASA) Convention and Exposition, June 30th – July 2nd, in Las Vegas at the fabulous Mandalay Bay Resort and Convention Center. Kencoil’s annual family crawfish boil was held the afternoon of April 14th at our facility in Belle Chasse because a morning storm saturated the Pontiff Playground-Shelter in Metairie where the event had been planned to take place. The weather cleared before noon and attendees enjoyed good food and camaraderie after the retreat to dry ground. The Kencoil and Scott Armature annual Christmas party was held Saturday, December 8th, 2012 at The Hyatt Regency Celestin Ballroom in New Orleans. Members celebrating 5, 10, 15 and 20 years of dedicated service in 2012 were honored. Members and guests enjoyed good food, music, dance and holiday spirit. The 2012 Kencoil Employee Barbeque was held November 2nd. Attendees enjoyed good weather and great food, including steaks seasoned and cooked to perfection by Scott Key. Kencoil upgrades Flat Coil taping machines in Belle Chasse. All four of the Flat Coil taping machines at Kencoil Belle Chasse have been retrofitted with new tape heads that provide constant tape tension and with additional clamps positioned on the tape head. The new clamps hold the coil firm when the slot clamps drop to allow the tape head to pass. All six of our Flat Coil tape machines (four at Kencoil Belle Chasse and two at Kencoil Winnsboro) are now state of the art to provide the highest quality and best value possible. Kencoil adds Flat Coil capacity in Winnsboro LA. Two new Flat Coil taping machines arrived at Kencoil Winnsboro on September 11th. The two new machines come with improved tape heads that provide constant tape tension and additional clamps positioned on the tape head to hold the coil firm when the slot clamps drop to allow the tape head to pass. These new machines have been installed and are already completely operational at Kencoil Winnsboro. Kencoil reopened operations in Belle Chasse at 6am Friday August 31st. Our facilities are in good shape and we survived Hurricane Isaac without sustaining any major damage. Kencoil Winnsboro LA is ramped-up to support our customers through Hurricane Isaac. We have moved labor, equipment and materials from our facility in Belle Chasse LA to Kencoil Winnsboro and we are providing uninterrupted service of Stator coils to our customers from our Winnsboro facility. We expect to resume operations in Belle Chasse Friday morning 8/31/2012 after Isaac passes. Kencoil would like to thank all those who visited our exhibit at the 2012 EASA convention. Kencoil celebrates 30th anniversary milestone on June 14th 2012 and we thank our customers, suppliers and team members for their loyalty, support and dedication that have resulted in the success of Kencoil. Kencoil will be participating as an exhibitor at the 2012 Electrical Apparatus Service Association (EASA) Convention and Exposition, June 24-26, Gaylord Opryland Resort & Convention Center, Nashville, TN. The annual Kencoil family crawfish boil was held April 22nd at the Pontiff Playground-Shelter in Metairie. Attendees enjoyed the good weather, good food and camaraderie.